Joseph Lhota, the chairman of New York’s Metropolitan Transportation Authority (MTA), has resigned following Gov. Andrew Cuomo’s election to a third term, multiple publications have reported. The MTA is responsible for New York’s public transit system, including the subway, which has become increasingly unreliable. The MTA did not immediately respond to Business Insider’s request for comment. Joseph Lhota, the chairman of New York’s Metropolitan Transportation Authority (MTA), has resigned following Gov. Andrew Cuomo’s election to a third term, multiple publications have reported. 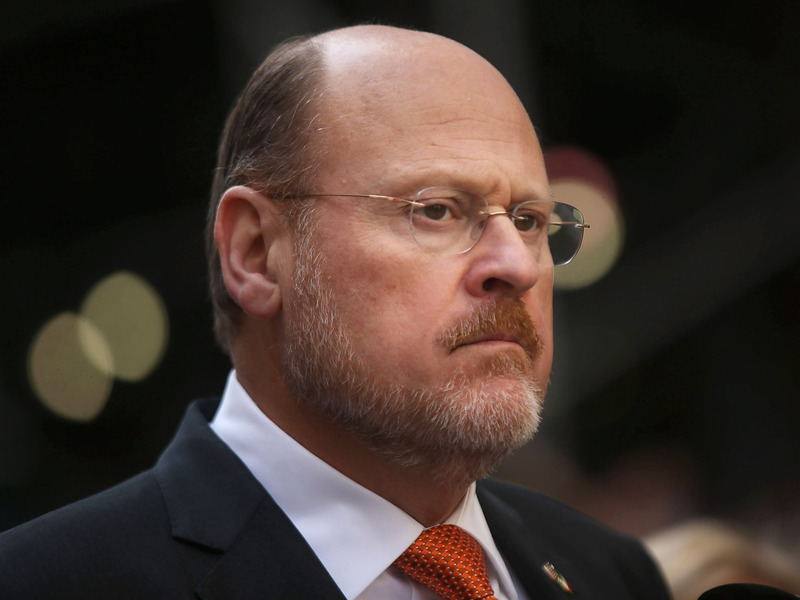 Lhota said in October that he did not plan to leave the agency, according to The New York Times. The Wall Street Journal reports that Fernando Ferrer, the MTA’s vice chairman, will replace Lhota on an interim basis as the agency searches for a new chairman. Lhota was appointed to the chairman position in June for the second time, after a stint in 2012. During his most recent term, which was set to end in 2021, he had faced questions about potential conflicts of interest arising from other positions he maintained while serving as the MTA’s chairman. The MTA is responsible for New York’s public transit system, including the subway, which has become increasingly unreliable due to decades of inadequate investment, an outdated signaling system, track fires, and overcrowding. In 2017, the MTA began working on an $800 million rescue plan that included urgent track and signal repairs. And in May, New York City Transit Authority president Andy Byford unveiled a plan to repair and modernize the New York City subway system. The plan, called „Fast Forward,“ would replace an antiquated signal system, redesign the way passengers pay fares, increase the number of subway cars, and install elevators at stations. It would also include station repairs, an increased number of buses, and redesigned bus routes. Byford said the plan would cost about $40 billion, according to Gothamist. Transit projects in New York are far more expensive than those in comparable cities throughout the world partly because of generous compensation for workers and high costs from contractors, both of whom are allowed to negotiate their rates without input from any New York City agencies. The Times has previously estimated that upgrading the signaling system for every subway line could take 50 years and cost $20 billion.